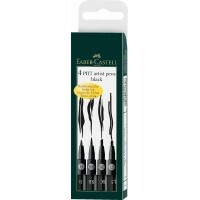 Fibre tip pens High quality artist tools Colour: White Size: 0.7mm ..
FABER CASTELL PITT ARTISTS PEN Black Pigmented India ink Waterproof, permanent odorless, acid fre.. 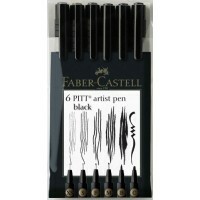 Ink drawings have a very long artistic tradition. 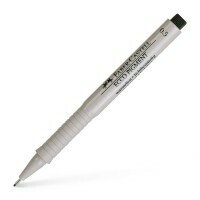 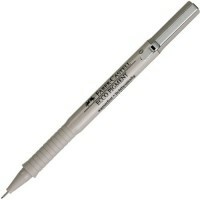 This has always been an interesting medium for art..
Fibre tip pen High quality art product Colour: White Size: 0.3mm ..
Metal fibre tip Waterproof, indelible and non-fading Round, ergonomic grip. 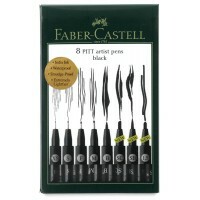 Black Pigmented..